The proportion of drivers who report talking on a cell phone regularly or fairly often when behind the wheel jumped 46 percent since 2013. Nearly half (49 percent) of drivers reported recently talking on a hand-held phone while driving and nearly 35 percent have sent a text or email. Despite their behavior, nearly 58 percent of drivers say talking on a cellphone behind the wheel is a very serious threat to their personal safety, while 78 percent believe that texting is a significant danger. 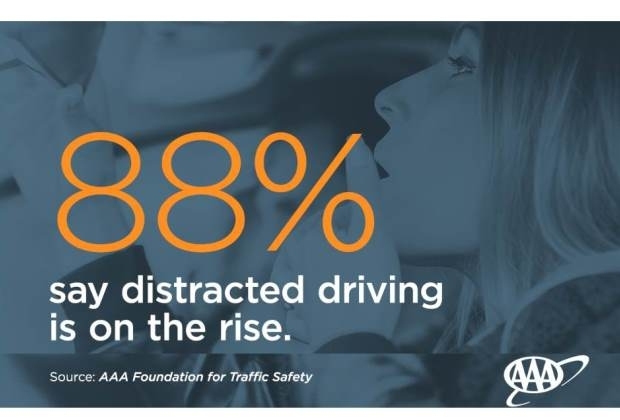 A recent study from the AAA Foundation shows drivers talking on a cellphone are up to four times as likely to crash while those who text are up to eight times as likely to be involved in a crash.